We have a rich history in pushing boundaries and carrying out a spirited attitude into live sports production solutions. Our solutions educate, inform and engage spectators around the world. Our attitude and values are what set us apart. No matter what we do, which sport, what event or whom we are working for, everything always ties back to these core values. Creativity is a key component that enables us to think outside of the box and create an engaging live sports experience. We constantly challenge the status quo to create a unique technical and creative approach for every event and sport, adding life to live sports. Rawmotion has years of experience with live event production and a proven technical background to provide seamless services on location. You can rely on Rawmotion’s solutions and event teams to pull through, get the job done and instill an authentic, unforgettable experience for your audience. Success in the field of live sports events is only possible with a passion for sports and events. Our teams share this feeling with the athletes and the fans in attendance. This passion also drives progression and a curiosity for what comes next in the field of live sports production. We help bring your vision to life and are dedicated to doing whatever it takes to create the magic of one of a kind LIVE SPORTS EXPERIENCE. We are experts on each essential element required to come up with ever more exciting and dynamic ways to tell stories and make real fans. We make sure that all technical and organizational aspects of your live sports event interact perfectly. We build technical systems from the ground up and can integrate third party systems seamlessly. We stay true to the heart of every sport. We understand that each sport fosters it’s own community and lifestyle and this must be reflected in the live production concept. We go the extra mile to ensure authenticity and add our own passion to each project we work. We understand the specific needs and challenges of live sports production and work tirelessly around the clock to ensure technical systems are humming and event crews have all the tools they need create a seamless production. Every project is unique and needs a unqiue approach to release its full potential. 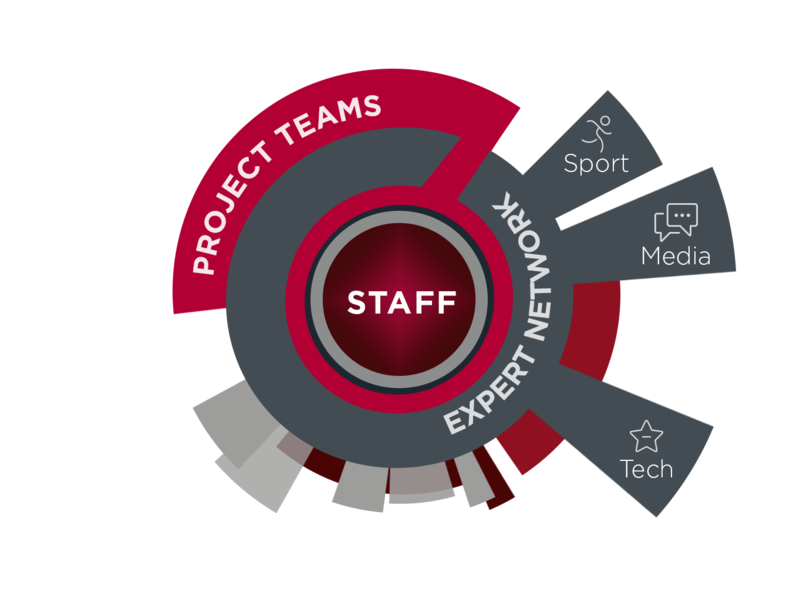 We put together best-in-class teams from our global pool of staff, event production specialists and an extensive expert partner network: sports gurus, tech/software nerds and media professionals. The result: Happy clients. Rawmotion is an excellent resource to have involved from the ground up when planning your event. With our extensive portfolio of work in live sports events, we can offer insight and assistance in early stages of planning and conceptualizing. This step includes the development of custom software, software changes, graphic design, graphics build-out, database design along with hardware development and procurement. With no second chances in live production, we don’t believe in arriving with an untested solution. All hardware and software will be fully tested prior to Rawmotion arriving to the event site. Preparation is key to producing a live event with confidence. The Rawmotion team is in your corner from day one for all your preproduction needs from technical management to live venue/broadcast/webcast preparation. This is what the Rawmotion team lives for: bringing the event to life, seeing excited fans entering the venue and keeping the crowd hyped until the curtain comes down. We started out with a goal to professionalize the data service and results management for snowboarding. With our professional approach, reliable solutions and passion for sports, we expanded into many different verticals and have serviced close to 500 events over the last decade. We have developed our own vision for successful live sports production and have become a key partner in creating stories that captivate fans and drive audience reach and engagement.